HomeMUSIC NEWSAMORPHIS working on new studio album! 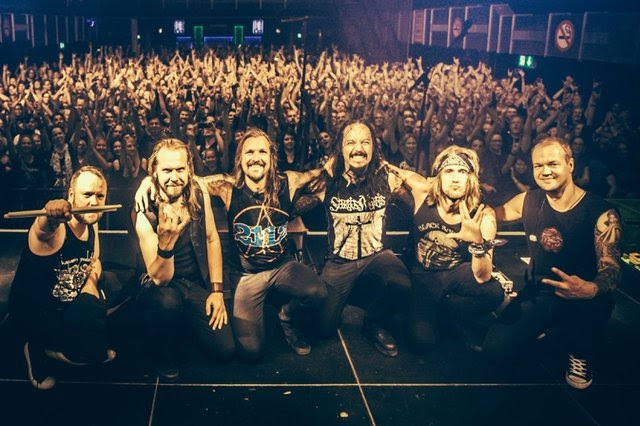 Melancholic progressive metallers AMORPHIS recently released their 2015 studio album Under The Red Cloud, which won countless soundchecks and reached great chart results all around the world, including their first ever entry in United Kingdom and Australia, as well as their highest ever entries in Germany, Switzerland, Austria, Belgium, the Netherlands and France. Following this success, they released their Under The Red Cloud Tour Edition in February 2017, including the entire album with two bonus songs as well as the live tracks of their An Evening With Friends-Shows @ Juhlaviikot – Huvila (more info, see below).